Man has always strived to make chocolaty versions of things, and the Terry's Chocolate Orange is surely a milestone in human achievement that all other should be measured against! In honour of this tasty and wondrous chocolate fruit, we decided to pimp it! 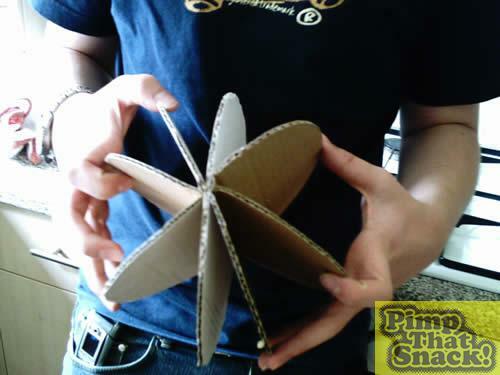 To make a chocolate orange, you have to make the segments.The problem of how to make a mold for this played on our minds for days, until it came to Super Noodles in a dream: we needed cardboard. We cut 4 circles of card, each with a slit at the top, and 2 which bent in the middle, slotted them together and created our mold! 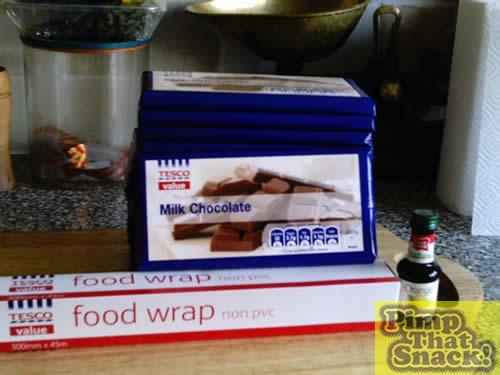 Of course it was then we realised that each piece would need to be covered in clingfilm so the chocolate didn't stick, so the thing had to be taken apart and re-built afterwards. Oh well. Yet more clingfilm was used to wrap around the core of our mold, creating a kind of plasticy ball. Then it was time to melt our chocolate. 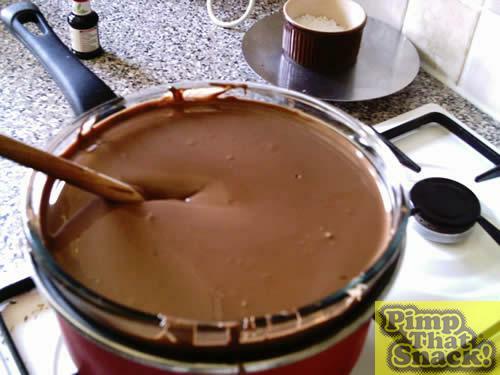 And there was a lot of chocolate to melt! Using both the stove and microwave, the chocolate was all melted. All the that chocolaty goodness was poured into the biggest bowl I could find (which, despite being massive, could only hold half the chocolate at one time) and mixed in the orange essence. 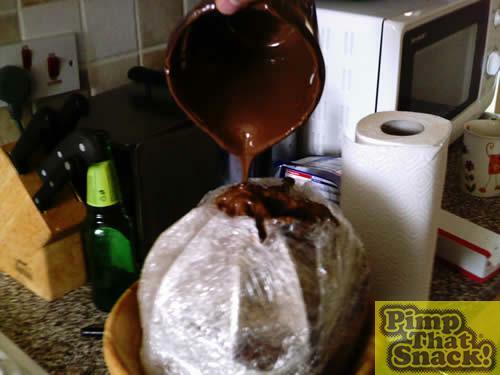 The heavenly-orangy smelling chocolate was then poured into the mold by the jug load- which took a painfully long time!